So far Nick Harrington has created 16 blog entries. Happy Anniversary!! 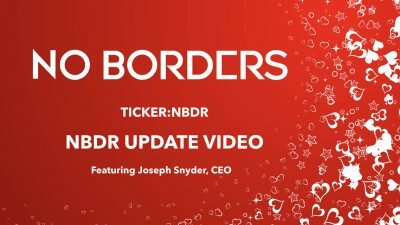 No Borders, Inc. is 1 year old! Thank you all for joining us on this journey! Now join us on our first Video Update of March, featuring our CEO, Joseph Synder. New Distributor Agreements With Multiple Suppliers. 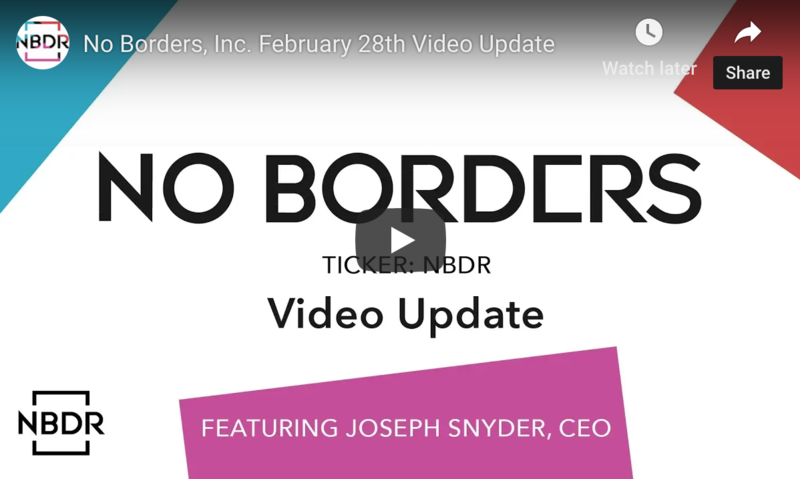 Wrapping up a FANTASTIC FEBRUARY in today's No Borders, Inc. Video Update with our CEO, Joe Snyder. 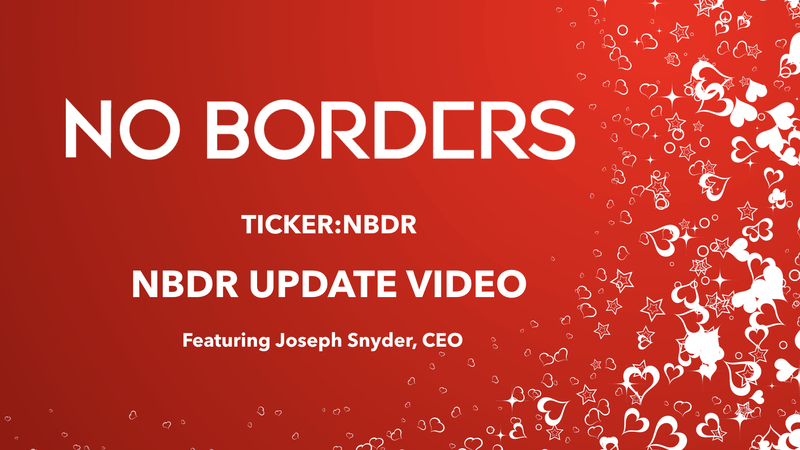 Join us as we finish up February with a bang, and go over all things No Borders, and what to expect in March.